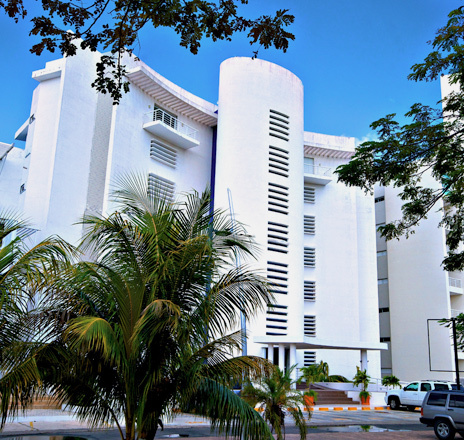 Front view of Nah Ha oceanfront condo in Cozumel, Mexico. 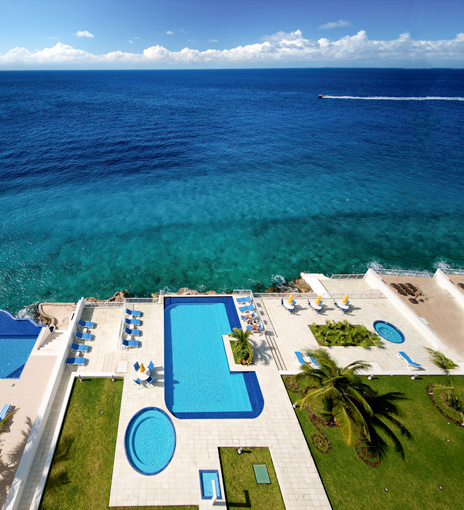 NAH HA on the ocean is Cozumel's newest waterfront beauty. The Nah Ha will soon be known as Cozumel's most prestigious residential address, offering only the finest features, services and amenities to a privileged few. 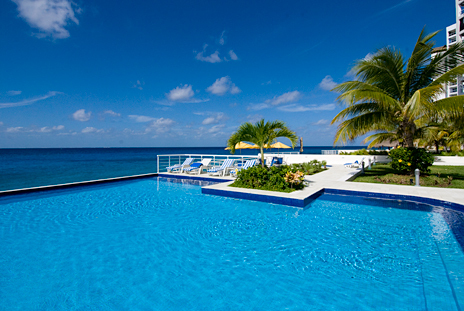 It is located directly along the north shore of Cozumel just minutes from downtown San Miguel. 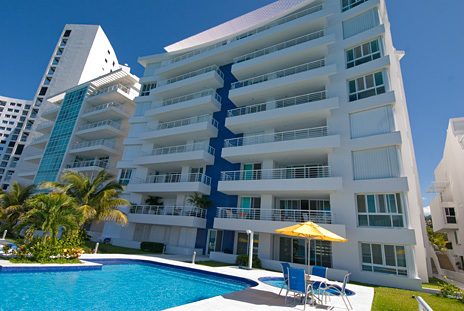 Nah Ha is home to only 16 luxurious oceanfront tower residences. 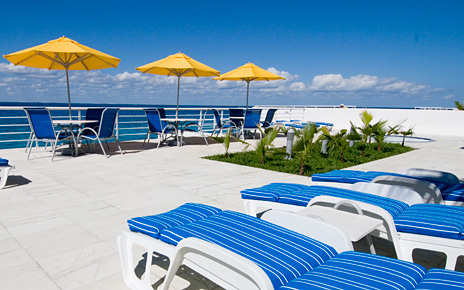 Ranging from 2,400 to 2,700 square feet, these are among the largest condo units of their type ever built in Cozumel. World-class snorkeling virtually at your doorstep. 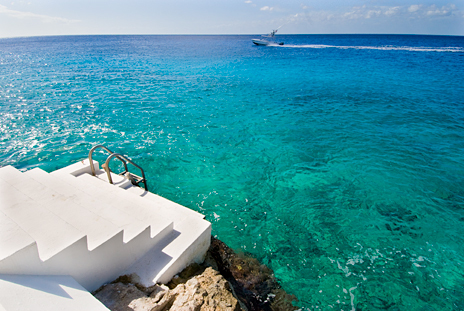 For the diver, a deep water dock permits the dive boat to pick you up right at the pool. 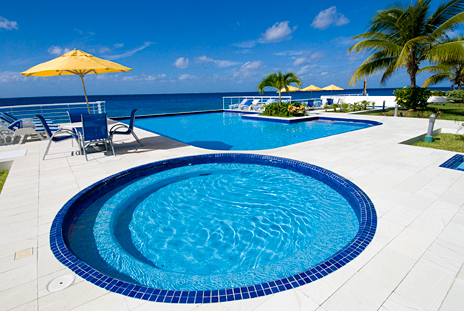 Spend time at the beautiful infinity pool, relax in the outdoor jacuzzi or take advantage of the world class snorkeling at your doorstep. The possibilities are endless. NAH HA features snorkeling at your doorstep, where you'll find an abundance of marine life among the coral heads and in the natural reef which has formed in and around the shoreline. Here, you will find families of coral fishes, octopus, lobster, eels, rays, flounder, turtles, and porpoise have also been seen. This area is fabulous for underwater photography and marine life encounters. 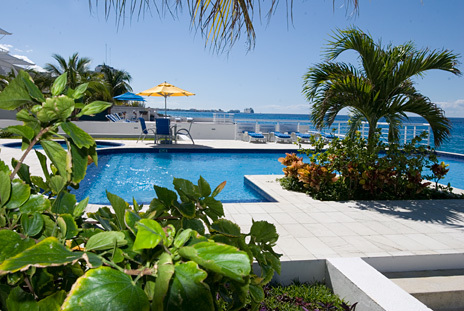 Oceanside view of Nah Ha, an exclusive condominium building with just two units on each floor. Each condo is 2,400 to 2,700 square feet.